THE PALMEIRAS PLAYERS had had enough, and they snapped. Like blood trickling down the water in front of a ravenous shark, they launched an astonishing attack on Corinthians’ Edílson, inflaming a mass brawl inside a stunned Morumbi stadium. There were those, including Brazil manager Vanderlei Luxemburgo, who blamed Edílson for the incident. The coach, who had reinstated the player following a four-year national team exile, dropped him from Brazil’s Copa América squad in 1999. Edílson was guilty indeed; guilty of showboating and deliberately provoking rage from his rivals. With Corinthians leading comfortably 5-2 on aggregate in the Paulista championship final, Edílson received a pass in midfield and proceeded to juggle the ball with both feet before flicking it up, letting it rolling down his neck and balancing it on his foot. Palmerias’ captain Zinho and his incensed lieutenant Paulo Nunes were not prepared to stand idly by and let Edílson publicly mock their beloved club. Tensions had already been boiling dangerously ahead of the match. Palmeiras had just knocked their nemeses out of the Copa Libertadores and this was sweet revenge for the Green Giant. But Edílson took it too far for the Palmeiras men. Still in possession, Edílson was viciously scythed down by Zinho. The Palmeiras man had the ball at his feet but his team-mates were not interested in receiving the ball from him. They ran straight past their captain and hurled themselves at the wounded winger. Edílson attempted to retaliate but was confronted by Nunes. Then Júnior came along and joined in. As the fans watched in disbelief, Edílson scampered back to the dressing room, haunted and physically battered. The scene inside the Morumbi threatened to descend into an unmanageable riot. Brawls broke out over by the advertising boards and TV camera equipment. Kicks were thrown. Players were flung to the ground. Eventually, the officials abandoned proceedings, letting Corinthians win the title with a quarter of an hour still to play. The episode blackened the occasion for both sides as the media coverage focused on the antics of Edílson and the Palmeiras players over the two goals scored earlier in the match, or the fact Corinthians had won their 23rd Paulista championship. It was a frightening explosion in a match that had gained a reputation as one of the most volatile in Brazil. For some, the scars of the past were still raw as the hatred between the two teams burned stronger than ever. The story began many years before, in 1914, when a group of Italian immigrants in Brazil founded a football club and named it Palestra Italia. This group were formerly of Sport Club Corinthians Paulista but split to build a rival team. They were branded traitors after severing all ties with Corinthians. They became traidores. Ever since, the two clubs have been bitter rivals in the Derby Paulista. It is a historic rivalry with two of Brazilian football’s oldest clubs contesting for supremacy of São Paulo. The derby has decided Campeonato Brasileiro’s throughout the years and grown to be regarded as one of the fiercest rivalries in world football. The Paulista has produced a series of memorable encounters down the years, blending high-quality football with overheating passions to provide stunning spectacles. At times, it is true to the glittering football culture in Brazil with a match centred on technique, skill and goals. However, there have been times when the players have failed to keep their emotions in check and contribute to a descent into chaos. These traits are part and parcel of a derby of such historic value in a nation where football means everything. The derbies are played inside the stunning Estádio Cícero Pompeu de Toledo, widely known as Morumbi, which provides the perfect stage for some of Brazil’s finest footballing theatre. The Morumbi wears a coat of green (Palmeiras) and black and white (Corinthians) on derby days and echoes the greatest derbies of South American football when it is awash with colour and sound. To be inside the Morumbi in the build-up to kick-off in the Paulista derby is to experience a gut-wrenching intensity and feverish passion that would make anyone fall in love with this great match. But the football sometimes disguises a dark and murderous aspect of the city. Although it is a stunning metropolis in south-eastern Brazil, and the country’s most populous city, it is also one of the most dangerous. Looking through the recent reports of crime in São Paulo is hard to stomach. The truth is, this illustrious football match exists in a city gripped by raging violence. In 2012, São Paulo was the scene of one of the worst atrocities Brazil has ever seen. In November that year, over 140 people were murdered in an unprecedented killing spree related to a war raging between the police and a large criminal militia. The Paulista Derby exists in a hostile and unstable environment. People love the football, but sometimes football has to be forgotten. Unfortunately, and almost inescapably, the two have crossed paths in the past to devastating consequences. The Paulista derby can sometimes act as a reference point for when football derbies explode dangerously. In 2012, the Palmeiras fan Andre Alves was shot dead as he watched his side play Corinthians. Alves was only 21. He and a group of Alviverde fans were savagely ambushed by Corinthians fans in a brutal attack that left a further three in serious condition in hospital. Fans clashed with police in a sustained period of violence which marred the 2-1 victory for Corinthians and reminded everyone of the dark, murderous underbelly that taints Brazilian football. The violence has been exacerbated in recent times by the torcida organizadas, who relish physical confrontations with each other. In 1994, a Corinthians fan was shot in the back of the head by a Palmeiras gang member. This was in the aftermath of a Palmeiras fan having been struck in the head by members of the Corinthians’ ultras. The fanatical and murderous acts of the fans are a shocking and deplorable aspect of the derby but it cannot be ignored when discussing the rivalry of the two sides. The O Derby is another example of when the dark side of football creeps into the fun and entertainment the game naturally seeks to provide. Although the World Cup in Brazil was lauded as a glorious footballing carnival and one of the most memorable tournaments in the history of the competition, there was no escaping the grim economic and social circumstances in the preceding months. In January, protesters clashed with military police in São Paulo in events that saw over 100 people arrested. Often, the fans don’t get the opportunity to fully enjoy the Palmeiras-Corinthians derby with the myriad issues existing in the city. Of course, the silver lining is the release football provides inhabitants of São Paulo. The Paulista is the pinnacle of sporting entertainment for millions of people living in the city. They eagerly anticipate this match, more so than any other. Indeed, sometimes O Derby is the scene of Brazil’s all-time classics. In 1993, Palmeiras came up against their rivals in a bid to end a 17-year wait for the Campeonato Brasileiro. The match was huge for O Verdão . They were still shaking off the ghosts of ‘the lost decade’ in the 80s when they failed to claim a major trophy.Standing in the way of ending their barren spell were their old foes. What transpired was a truly seminal moment for the men in green as they crushed O Timão 4-0 and romped to both the state and national championships. The side, which included Roberto Carlos and Edmundo, were hailed as heroes and instantly became legends in Palmeiras history. A year later, Palmeiras repeated their feat as the tide continued to turn in the historic rivalry. Inspired by a young Rivaldo, they defeated Corinthians 4-2 on aggregate to retain their title and pile the misery on their adversaries. As it had in 1999, tempers flared during the second leg of Palmeiras’s triumph. And again, Zinho was at the heart of events. Following a scuffle with Branco, the two were sent off twelve minutes before Luisinho was also dismissed for Corinthians. Three red cards in a frenzied period did not overshadow the Palmeiras victory, however, as they celebrated reaffirming their resurgence at the expense of their enemies. In South America, nothing raises the importance of a game quite like the Copa Libertadores. It is the continent’s Champions League and represents the most coveted prize in football. In 1999, the quarter-final played host to a spectacular derby when Palmeiras edged a thrilling two-legged encounter on penalties thanks to the heroics of the club’s legendary goalkeeper Marcos. The Green Giants went on to win the trophy, beating Colombia’s Deportivo Cali in the final. The time for Corinthians’ revenge came a mere year later when the two sides faced off once more in the Copa Libertadores semi-final in 2000. However, the black and white army were to be thwarted by some shoot-out mastery from Taffarel. The game itself was an enthralling affair. Palmeiras had won 3-2 after 90 minutes which pulled the aggregate score level at 6-6 after Corinthians had edged ahead in the first-leg 4-3 in an equally rip-roaring tie. The fans had been treated to 120 minutes of excellence. A pure feast of Brazilian football had ended with the two rivals sharing 12 goals and they were again forced to handle the pressure of a penalty shoot-out. However, with Taffarel remaining assured as ever, Palmeiras booked a place in the final against Boca Juniors as Corinthians struggled to cope with the pain and ignominy of another close call. A tournament they had never managed to win provided further heartache as they were forced to watch their arch-rivals get consecutive shots at winning the coveted prize, taking it once. The history books show that Palmeiras hold the upper-hand slightly over Corinthians. In 345 matches contested up to 2015, Palmeiras’s 121 wins are enough to see of Corinthians’ 119 while they have scored 497 goals to O Timão’s 461. 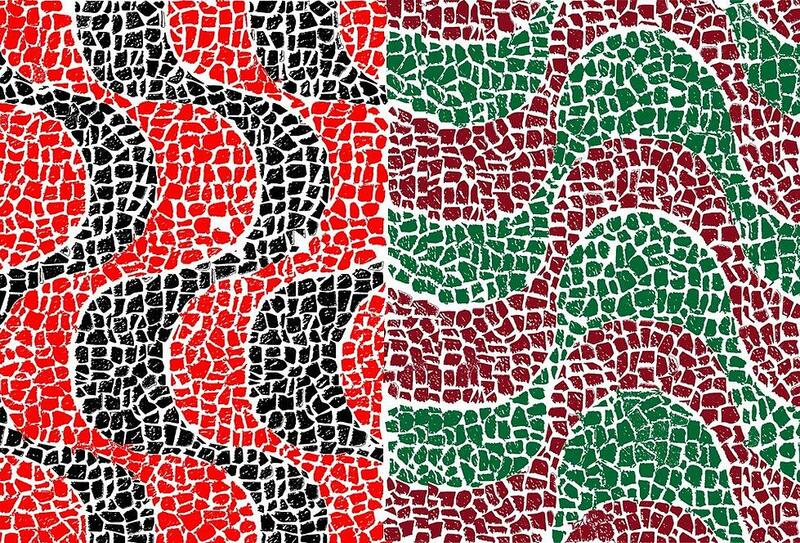 The two sides have a passionate disdain for each other dating back over 100 years and it remains one of the most exciting dates in the Brazilian football calendar. The derby has endured its dark moments and episodes of shame – they are an important reminder of both the dangers posed by fanatical fans and the capriciousness of São Paulo as a city. However, when the stadiums are adorned with oceans of green and black and white, with thousands of fans screaming for their beloved heroes and the goals are flowing, this famous club match confirms that the beautiful game is most beautiful in Brazil.